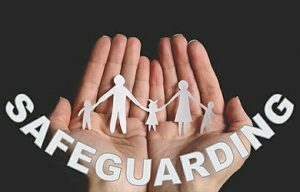 Our Parish is committed to the safety and welfare of children and vulnerable adults and, by working with the Archdiocese of Southwark Safeguarding Office, we do our utmost to ensue that our children and vulnerable adults are kept safe and free from harm. For this reason, whenever a parishioner volunteers for a position within the Parish which involves coming into contact with children or vulnerable adults, a check has to be made with the Police, via the Diocese, for a search of their records to be carried out to ensure that this person has no record of any kind which would preclude them from carrying out their volunteer role. All being well, a certificate is then issued to confirm this. To obtain this certificate, however, a process of obtaining references and providing proof of identity must be carried out. Any new volunteers will need to give their name, address and contact details to Margaret Whitworth, who will start the ball rolling. Completion can be very quick, largely depending upon how long the parishioner takes to complete the forms and provide the necessary documents, but the main thing is that all parishioners who have contact with our children and vulnerable adults are checked and shown to be safe to work with those we need to protect.